Britain’s Queen Elizabeth, 92, is feeling unwell and will not attend a special service on Thursday at St Paul’s Cathedral, Buckingham Palace said. 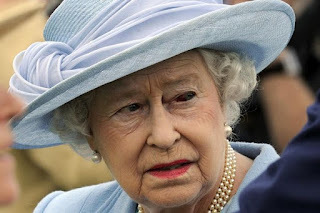 “The queen is feeling under the weather today and has decided not to attend this morning’s service at St Paul’s Cathedral marking the 200th anniversary of the Order of St Michael and St George,” the palace added. “Her Majesty will be represented by The Duke of Kent as Grand Master of the Order,” a palace statement said. Elizabeth, the world’s oldest and longest-reigning living monarch, celebrated her 92nd birthday in April. On Tuesday night, Queen Elizabeth presented three Nigerians, Hauwa Ojeifo, Isaac Ezirim and Kennedy Ekezie-Joseph from Nigeria with a Queen’s Young Leaders Award at a special ceremony at Buckingham Palace, London. The awards were in honour of the work they are doing to transform lives in their communities. The Queen was joined at the Award ceremony by the Duke and Duchess of Sussex in recognising their success.